A CHARLOTTE THANKSGIVING IS FOOD, FAMILY, FAITH AND FESTIVITIES | South Charlotte Newcomers! Charlotte is a city of thankfulness. Families and friends are thankful for a daily life in the Queen City that offers opportunities to work, play, worship and celebrate within a safe, beautiful community! The Charlotte Thanksgiving Parade 2015 has been a family tradition since 1947! Presented by Novant Health, this year’s parade will be on Thursday, November 26th at 9:30 am. Thankful for the safe streets to watch and march on; Richard Petty will be the Grand Marshall of the parade which includes dignitaries, celebrities (like Benton Blount, a finalist on Americas Got Talent), local marching bands (like UNC-Charlotte Pride of the Niner band), 21 floats and many performances filling Uptown Charlotte! The route of the parade travels through Uptown along Tryon, Stonewall and 9th streets. Performances will be presented at Tryon Street and Levine Avenue of the Arts. Tickets are available for seating in the performance area. Thankful for the food to eat, but maybe not so thankful for the drudgery of cooking, hosts in Charlotte have many options! Catering your meal can be as easy as a pick up at one of your favorite restaurants! New South Kitchen and Bar located on Providence Road in the Arboretum Shopping Center, will be open for your Thanksgiving meal on November 26th, 11am-5pm. All the traditional Thanksgiving turkey, fixins, desserts will be offered. If you would like to pick up your meal to enjoy at home, turkey, sides and desserts will be available for pick up Thanksgiving morning. All orders must be placed by November 19th. The Big View Diner will be open until 3pm on Thanksgiving Day and is offering a take-out Thanksgiving Day menu considered a “Spread so complete, all you have to do is say grace”! Make your reservations for this full course, to-go meal, serving up to 12 people and pick up on Thanksgiving Day 10am-4pm! Grocery stores are also a convenient way to get your dinner on a platter! Earth Fare, Harris Teeter, Fresh Market, Publix, and Whole Foods all offer prepared Thanksgiving dinners for those wanting to enjoy the holiday without the hours in the kitchen. Long weekends entertaining family and friends can be a scramble during the holiday season. The Queen City will help fill those empty hours away from the dining table and television with fun distractions! WBTV Holiday On Ice is a terrific way to burn off those turkey calories and channel the kids’ high energy! Lace up those skates and enjoy hot chocolate under the stars in Uptown Charlotte! Open Thanksgiving Day! One Hundred Years of Christmas will be at Latta Plantation November 27-28. Enjoy Christmas during the Federalist and Victorian eras with historically clothed interpreters. Activities, music, demonstrations and even the farm animals are in the Christmas spirit! A Big Top Christmas will be at the Metrolina Expo Fairgrounds November 18-29. All the fun of a circus with a soulful theme will fill this Christmas Extravaganza! Clowns, trapeze artists, cotton candy and ringmaster will entertain all your family and friends! The Sound of Music will fill you with beautiful nostalgia at the Blumenthal Preforming Arts Center, Belk Theater. November 24-29 will have you tapping your toes to a few of your favorite things! All sorts of sports is why Charlotte is a favorite of many fans! The Charlotte Hornets will play on the court November 27th and 29th. The Charlotte Checkers will hit the ice November 28th and 29th. Thankfulness will flow through homes and hearts in the Queen City on November 26th. 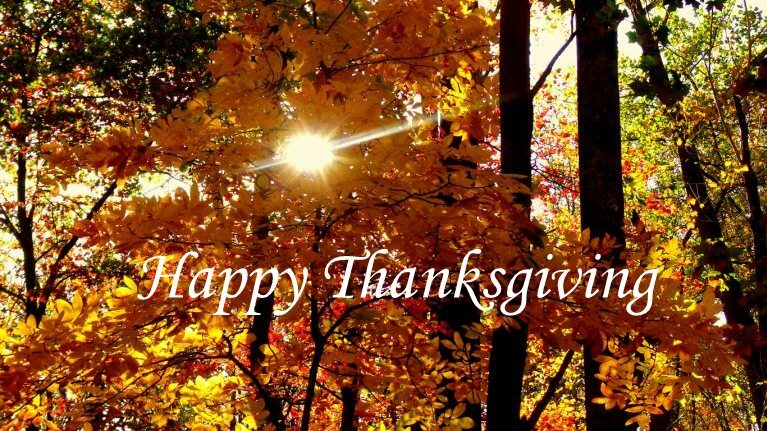 Celebrate in gratefulness as you gather with friends and family in beautiful Charlotte and in safety as you travel.